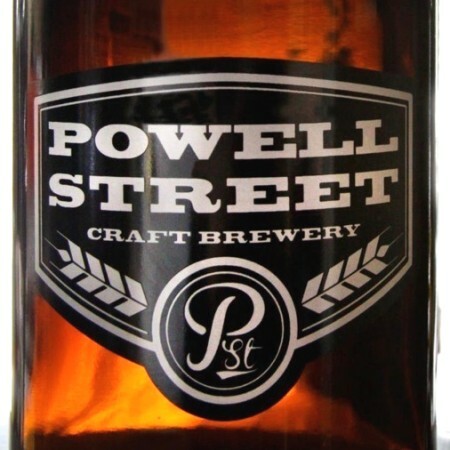 VANCOUVER, BC – After nearly a year of planning and building, Vancouver’s Powell Street Craft Brewery will be officially opening its doors this coming weekend. The first two beers to be offered by fledgling nano-brewery will be Old Jalopy Pale Ale & Dive Bomb Porter, both of which will be available at the brewery store (1830 Powell Street, Vancouver) in 650 ml bomber bottles, as well as in 32 oz Boston round bottles and 64 oz growlers filled fresh to order. The brewery will be hosting a launch party on Saturday December 15th from 1:00 PM to 7:00 PM, with both beers available to sample and purchase. The party will also include the debut of the Powell River Gallery Wall, featuring artwork by eighteen artists from Vancouver.